Get your overdue fines waived (up to $20.00) by bringing in non-perishable food items for the local Food Bank. Applies to overdue fines only - not lost or damaged library material. Contact your local branch for details. The class will explain how to download e-books from the British Columbia Libraries catalogue . The steps on how to download the software, activate and sign out e-books. People can bring in their laptops and e-readers, but it is not a requirement. 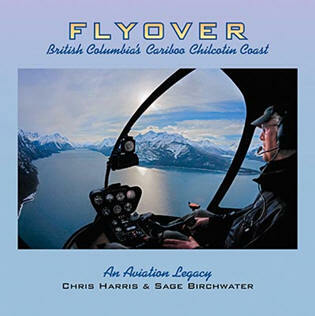 Join us for an exciting conversation with author Chris Harris and Sage Birchwater on their new book Flyover: British Columbia’s Cariboo Chilcotin Coast: An Aviation Legacy. 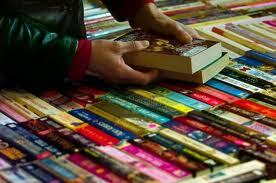 The 100 Mile Branch Library will be hosting a Winter Book Sale. Don't miss this opportunity to browse our large selection of gently used donations and library material! 100 Mile Branch - 10:00am to 4:30pm on Friday January 11th and Saturday January 12th. In program room. Interested in researching your roots? Book time to learn how to use Ancestry Library Edition, one of the most important genealogical collections available today. Call 250-392-3630 or come the library to register.